Like car wash attendants for the coral-reef crowd, Lysmata shrimp staff "cleaning stations" where fish can go to be shined up. At these stations, cleaner shrimp eat parasites and dead tissue off the bodies of their clients, while the fish repay the act by not eating the shrimp. 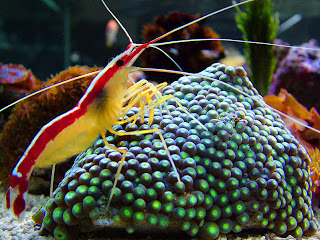 Some cleaner shrimp species, such as L. amboinensis, live and work in monogamous, hermaphroditic couples, faithfully fertilizing each other's eggs during their off-hours. In order to arrive at these peaceful unions, however, they might have to do a little killing. Researchers Janine Wong and Nico Michiels in Germany wanted to know how L. amboinensis ends up in pairs rather than groups. When everybody has all the equipment necessary to spawn more shrimp, why is two the best number to live in? The researchers collected cleaner shrimp subjects and kept them in tanks one, two, three, or four at a time. No matter how many roommates they had, all the shrimp were given plenty of food and an equal amount of space. Then the researchers sat back to watch. After six weeks, they found that every group of three or four shrimp, without exception, had become a pair of shrimp. Every pair of shrimp had remained a pair. To get rid of extraneous mates, the shrimp had killed each other until there were only two left. Since the researchers had grouped the animals by similar size, though, no shrimp could just walk up to another and tear its head off. They had to wait for an opportunity. Like other arthropods, cleaner shrimp periodically molt, shedding their old exoskeletons and growing new, better-fitting ones. Right after molting, which happens overnight, they're soft-bodied and vulnerable. In the experiment, the cleaner shrimp acted benignly toward each other during the day--but whenever the researchers returned in the morning to find a dead shrimp, its just-molted shell was in the tank with it. "Analysis of nighttime videos," the authors write, "indicated that aggressive interactions [had] contributed to mortality events." Perhaps sensing the danger, shrimp living in groups of three or four suppressed molting, shedding their exoskeletons less often than usual. Once they were in stable pairs, the shrimp could relax and return to a regular molting schedule. Competition for food could be behind L. amboinensis's urge to live in pairs. The more shrimp occupy a cleaner station, the fewer parasites and dead fish scales there are to go around. Having just one partner gives shrimp the minimum requirement for reproducing and the maximum share of food. Another theory, called sexual allocation, says that species will find the optimal balance of males and females. This is true of male and female individuals within a population, as well as male and female functions within a hermaphroditic individual. Generally speaking, sperm are cheap for a body to make, while eggs are expensive. This means that a hermaphrodite should invest as much energy as possible into making eggs. If a shrimp is competing with others to reproduce, it'll have to make a lot of sperm to maximize its chances of fertilizing some eggs. But if a shrimp only has one partner, it knows its sperm have no competition--so it can get by with the minimum investment in sperm, and devote more energy to eggs. The authors point out that the shrimp murders they witnessed took place under unnatural circumstances. On a real coral reef, cleaner shrimp getting bad vibes from their neighbors might just move away, rather than wait to be killed in the night. In enclosed laboratory tanks, the shrimp were forced to take drastic measures to reduce their group numbers. Still, the story ended the same way in all 20 tanks containing extra shrimp; this suggests the impulse to kill didn't come out of nowhere. It's possible that in the ocean, the shrimp rarely (or never) act on their murderous tendencies. But someone would have to put cameras in the coral reefs to find out whether Lysmata's life is as much of a soap opera as it seems. 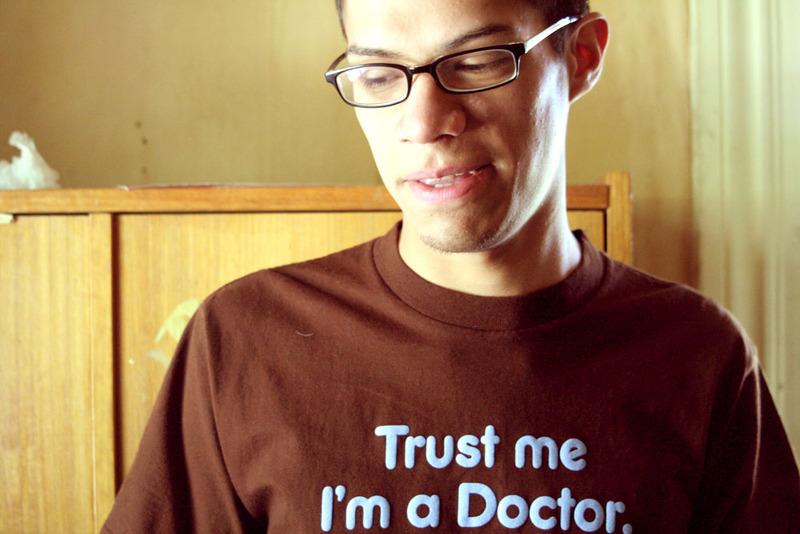 This post has been submitted to the NESCent contest for a travel award to attend the Science Online 2012 conference.